This is our favorite publisher featuring easy setup and excellent 6 colour printing. 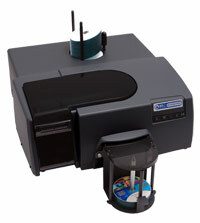 Network disc publisher featuring easy setup and excellent 6 colour printing. Network disc publisher featuring enhanced security for sensitive data. This is our favorite publisher line featuring easy setup and excellent 6 colour printing. The MX-1 Disc Publisher is ideal for organizations that need to produce anywhere from one to thousands of discs! 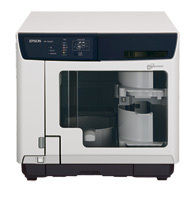 Designed for industrial environments, the MX-1 comes with a high-speed CD/DVD/Blu-Ray recorder and the industry's fastest, lowest cost-per-disc inkjet printer, all integrated into a robust publishing solution.